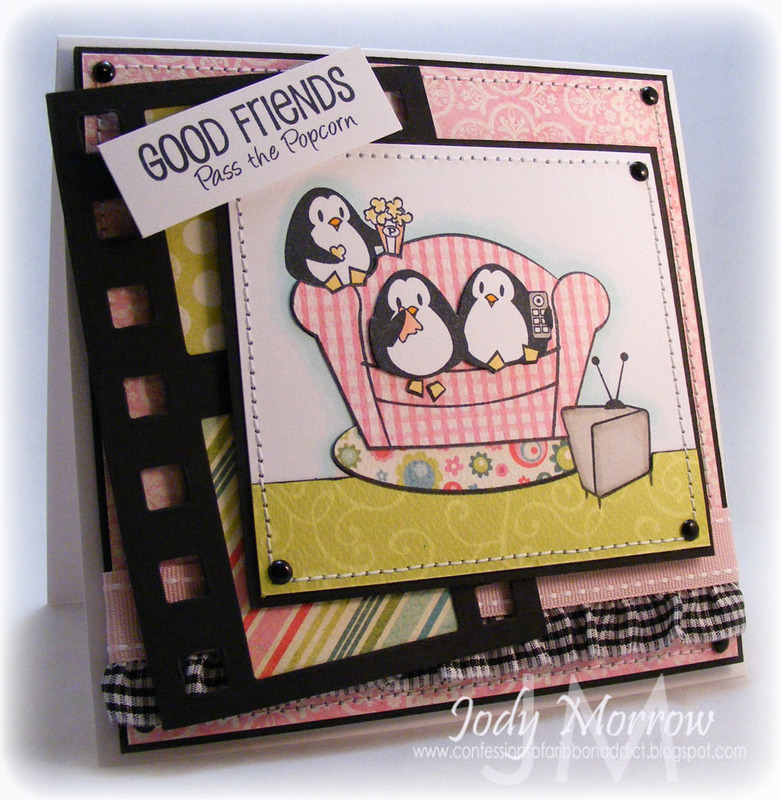 I remembered I had a Film Frame Sizzix die, so I dug that out to use with this card. 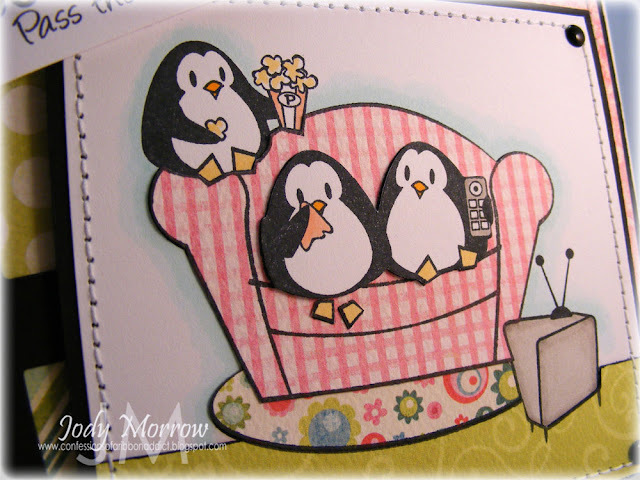 I adhered patterned paper in the open space. 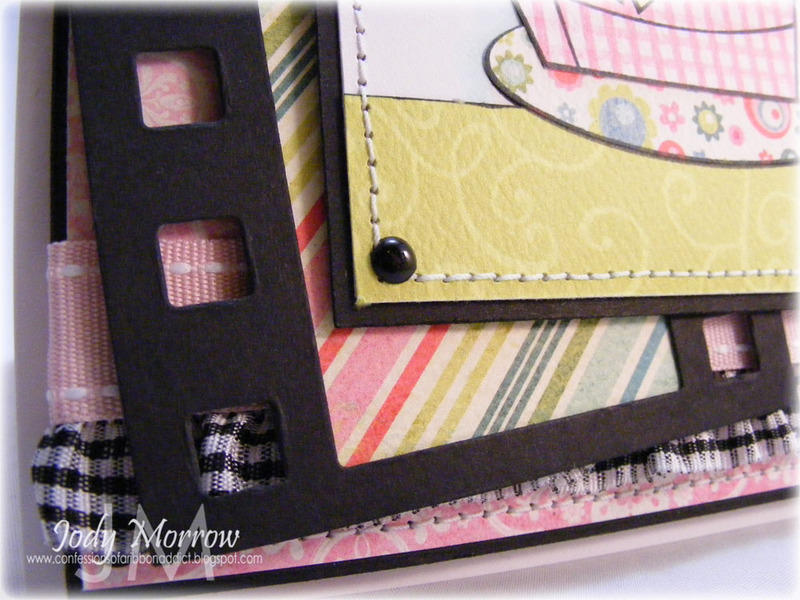 Of course, no girly card is complete without the awesome ruffled ribbon from MFT! *swoon* I want that couch... how about you? I love that film strip and the penguins cute, cute furniture & rug! Wish I could have something so flirty & feminine in my testosterone-ridden abode... PS -- I've never seen Made of Honor. Do I need to? Ohhh my gosh this is too CUTE I need that Film Frame Sizzix die!!! Love the couch!! FABULOUS!! Oh I love it..movie too!LOL.Great layout! This is so cute! Love the film strip and layout! Totally cute!! Love the film strip! !